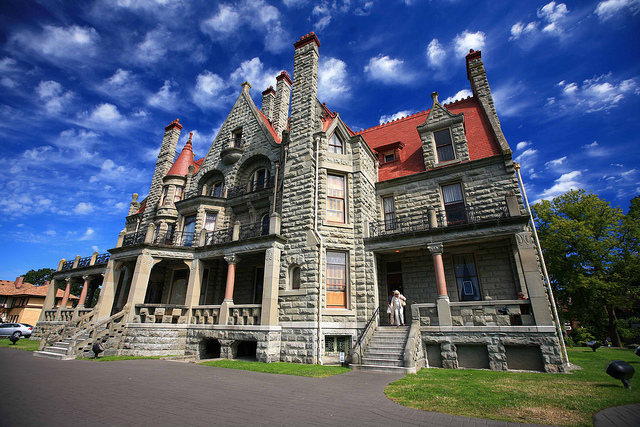 PHOTOGRAPHERS: ARE YOU SHOOTING WITH A POLARIZING FILTER? THAT LINK GOES THROUGH AND LISTS 4 FILTERS THAT YOU SHOULD HAVE IN YOUR CAMERA BAG, AND THE POLARIZING FILTER IS ONE OF THEM. IT ALSO BRIEFLY EXPLAINS HOW IT WORKS. There are few more important things that a nature photographer can do to improve his or her photography than becoming familiar with the use of the polarizing filter. 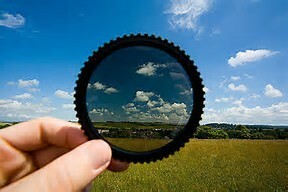 What can a polarizing filter do? Among other things it can darken the sky, remove reflections from water, and make foliage appear less shiny. Color saturation is also significantly enhanced. It is the only filter for use with color film that can do all of this. It is a filter for sunlight that attempts to block out the light rays that often cause glare, while still allowing the desired light through. Designed with layers of filters that form right angles with each other, the system within the polarizing filter is generally quite effective. But, due to the way that the layers prevent some light from entering the lens, it is necessary to rotate the filter so that it allows the light you want to enter. Notice the glare removed from the car, and the glass on the car. It certainly enhances the color of the car. Funny thing is that it removed the glare of the glass of the dealership behind the car and you can see inside the building as well. Since it’s necessary to visually tune or adjust a polarizing filter, some people believe that it’s not possible to use one with a rangefinder camera, but that is not the case. Some manufacturers have created ingenious solutions to this problem, but there’s also a simpler way. If you have a polarizer that has markings around the rim, simply hold the filter in front of you while pointing at the subject and note the angle of the mark. If it’s at, say, one o’clock at maximum polarization, then put the filter on the camera and turn it so that the mark is again at one o’clock when it’s on the lens. Heliopan polarizers are preferred for this reason; they have continuous numerical marks around the periphery of the filter. Another easy solution for previewing the effects of polarization is to wear polarized sunglasses. Just remember, when looking at a scene, to tilt your head from side to side to change the angle of polarization. If this is uncomfortable, you could simply take the sunglasses off and hold them in front of you as you rotate them. If you wear prescription glasses, you can order them polarized the next time you renew. While looking through your camera, be careful not to wear polarized sunglasses AND use a polarizing filter at the same time. If you used both, you would basically keep all light from entering and would more than likely see nothing as you attempt to take your shot. Thus, the solution is to use one or the other–but not both! The second issue with polarizers and very wide-angle lenses is the thickness of the filter. By their nature, polarizers are thick filters because they have a double ring, the first of which mounts the filter to the lens and the second which is the rotating polarizing element. If the lens is wider than about 24mm, when used at small apertures the edge of the ring can cause vignetting at the corners of the frame. The solution is to buy a “thin” polarizer. One option is to buy a single polarizer of the largest size that you need and then to buy step-down rings to fit it to your smaller lenses. However, this is not something you should attempt in the field if there are difficult weather conditions. Knowing the solutions for these challenges will help you enjoy all the benefits that polarizing filters offer. Get ready for some spectacular photos. Have fun in the field! About the Author:Mathew Rivers writes for a camera blog about the Nikon D4 digital camera. ARE YOU LOOKING FOR A PLACE TO GET IT ALL? GO TO MY FACEBOOK PAGE FOR ENTERTAINMENT, LEARNING AND PHOTOS ! ALMOST 20,000 PEOPLE ALREADY HAVE! ← HOW IS YOUR CONFIDENCE AS A PHOTOGRAPHER?